Get into it, on top of it, or above it now! Welcome to the high adventure the Bishop Area has to offer. Experience the adventure of the Eastern High Sierra in and around Bishop California. Crisp, clean, big and beautiful skies plus majestic granite mountains is the environment that will encircle you as you enjoy your outdoor adventure. Lake Sabrina offers access into alpine lakes and views. There are also some beautiful hikes in the valley, including Tungsten Peak. Read this blog article about some other scenic hikes in the Owens Valley. For Super Spring Hikes Around Bishop, click here. Bishop Creek Canyon offers dozens of fantastic hiking trails for day hikes and fishing excursions and is your jumping off point for the John Muir Trail over Bishop Pass and Paiute Pass, both leading to hundreds of thousands of acres of pristine high mountain wilderness. Wilderness permits for overnight trips are available from the White Mountain Ranger Station in Bishop. Your imagination is the limit when looking for adventure in the Eastern High Sierra. We invite you bring your year-round desires for outdoor adventure to our back yard. Get the lowdown on trails and unique area features. Check in with Sierra front country caretakers who can enhance your recreation experience with local insight and lore. 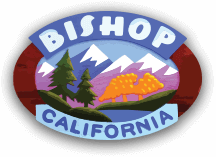 Here are links to Bishop Creek Resort , Cardinal Village Resort, Lake Sabrina Boat Landing and Parcher’s Resort in Bishop Creek Canyon where you can find additional info on local features, hiking, backpacking, and trails info. Bishop Creek Lodge, Cardinal Village Resort and Parcher’s also have rental cabins to acclimatize overnight backpackers at higher elevations before their trek. On your way up, be sure to drop into our shops in Bishop for proper apparel and footwear!